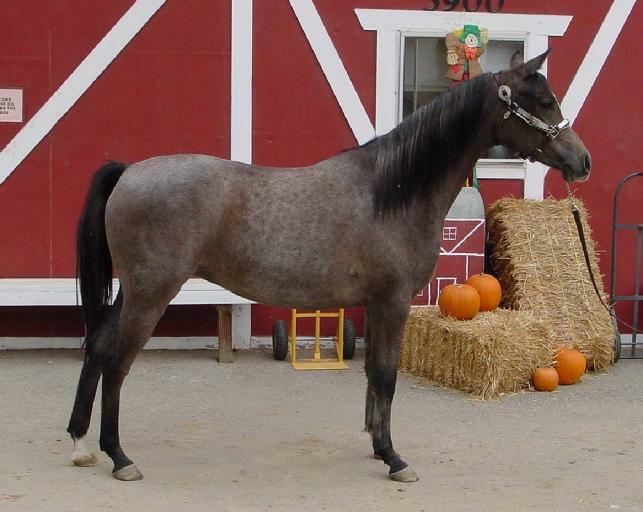 MISSTYYX ROSE is a 2002 purebred Arabian, unraced daughter of STYYX 5/43(11-11-3)4-6 $79,710. STYYX is a Black Type stakes winner, and he set the US Track Record for 7.5 furlongs (at Los Alamitos) in 1992, which still stands today. His sire, SAMTYR was the 1975 US National Champion racehorse and an Arabian Racing Hall of Fame inductee. SAMTYR is the sire of over 70 winners and 30 stakes winners including IAHA and Darley Champions TC Tomtyr, Sams Count, Tomanchie, Samtyra, Saam and TC Tomahawk. MISSTYYX ROSE's dam is a paternal sister to Arabian Racing Hall of Fame inductee MAGNA TERRA SMOKY 10/120(50-32-18-16)25-26 $313,362. MISSTYYX ROSE's sire, STYYX 5/43(11-11-3)4-6 $79,710 is a grandson of the immortal racing legend, *SAMBOR++. *SAMBOR++ is one of the most influential Arabian racing sires in history. 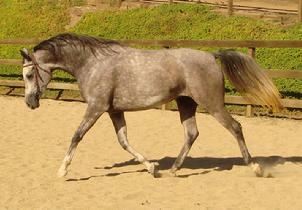 He is out of the legendary mare SABELLINA 7(5-1-1), founder of the unbeatable "S-line". SABELLINA won both the Derby and the Oaks. 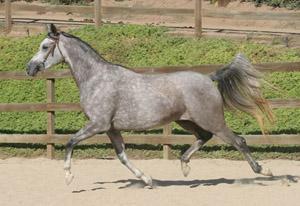 MISSTYYX ROSE was bred by Oak Knoll Sporthorses and was inspected and approved for breeding by the American Trakehner Association (ATA). MISSSTYYX ROSE (2 Years old) - Unraced 2002 daughter of STYYX 5/43(11-11-3) 4-6 $79,710 - he was a Black Type Stakes Winner, and set the US Track Record for 7.5 furlongs (at Los Alamitos) in 1992. This record still stands today. 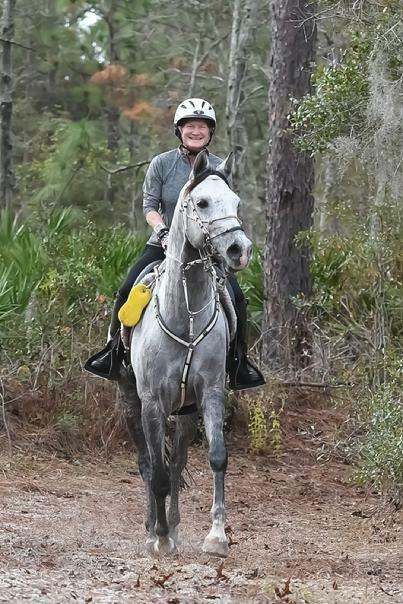 Click on MISSTYYX ROSE's photo for her American Trakehner Association information. MISSTYYX ROSE - at the 2006 American Trakehner Association (ATA) inspection.